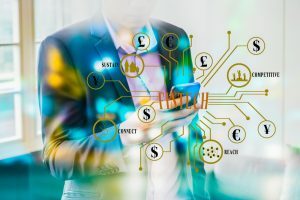 Fintech marketing is the sum of marketing techniques specifically tailored for financial technology (‘fintech’) companies. These companies are using new technologies to improve, and ultimately, automate, the delivery and use of financial services to consumers. Whereas building a great product is the first step towards revolutionizing this industry, deploying the right fintech marketing techniques to make it big is often a challenge in an increasingly saturated market. Especially when traditional banking companies are finally catching up with emerging technologies, best-in-class user experiences and consumers’ needs and expectations. At the same time, let’s face it: financial services are boring, from a consumer’s point if view. That’s no secret and we have no intention of covering that up – and neither do most of the companies that attempt to market their services. That said, what if I told you that there are 9 tricks you can deploy today to really position your fintech marketing efforts for success, acquire new clients and propel your company into the future? Are you excited? Then read along! Fintech marketing is all about marketing techniques for the present, not the dull techniques from 2007. And it is quite shocking to see so many companies advertise for a world we are no longer a part of. With the implementation of some simple but effective marketing strategies, you can ensure that your fintech company cuts through the sea of grey and winds up in a pool party of color that everybody wants an invitation to. Here’s a quick infographic which covers the main points in this article. Everything is mobile in the 21st century, and if you’re not basing your marketing initiatives around these precious handheld devices, you’re missing out on one of the most effective ways to connect with consumers. Recent studies have shown that we’re spending five hours a day on mobile devices and the time spent on mobile apps has skyrocketed a huge 69 percent from 2016. That’s five hours a day where fintech companies can target mobile users to get the very most out of your marketing strategies. First, ensure that you have a mobile responsive website. In doing so, you’ll not only rank better and higher in Google search results, but are more likely to create conversions from the visitors you’ll receive. And with 52% of all online searching being done on mobile, you really can’t mess around with a suboptimal digital experience. Mobile is all about ease of use and speed. If your site has a collection of unnecessary widgets, pop-ups or irrelevant content that makes navigation frustrating – chances are that the user is going to be in and out of your site in a matter of seconds. So make sure your web copy is short and to the point; use visual elements like infographics, icons, imagery; use large fonts on the responsive side and non-intrusive animations. Bottomline: really spend the time to make sure your website looks and behaves amazingly on mobile before you waste money on ads, traffic, SEO efforts and more. Making things simple, clear and with a featured call-to-action is a great way to get started on mobile to make the most of the platform available. But it doesn’t stop there. A full mobile based experience should be created, optimized and analyzed frequently in order to convert users in the 2018 marketing world. Social is the marmite of the internet. Some of us absolutely love the concept and are sharing pictures of our morning avocado toast 5 times a week (you know who you are) while others refuse to download or sign up to even the most basic of social sites (must be cold and lonely living under that rock). When it comes to fintech marketing, you’re going to first need to identify the market sector you’re going for – this directly impacts your use of social media and dictates where the most time and energy should be spent. Whether it’s LinkedIn, Instagram, Facebook, Twitter, Snapchat, Pinterest, Tumblr, Digg, Reddit, TikTok, or YouTube you’re going to need to pick and choose which is best to share your message and adopt a strategy for each. Really narrowing down and specifying who you’re going to be targeting with the business as a whole and then creating sub targets within different social media outlets is vital. Snap is different to Instagram, Reddit different to Facebook – it’s your job to learn the difference and know what works well and for who. Social media is not one size fits all. But it does have one amazing advantage over traditional marketing channels. On most social media advertising platforms, you get to really target your ideal customer. So figure out your ideal target audience then research what social media platforms they’re using. Then create personalized content based on where your audience hangs out, what they do and what they like. You do that and you’ll be miles ahead of your competition. Valuable content is exactly what it says on the tin – it’s valuable. Whether you’ve created a listicle that helps to clear up a topic in the reader’s mind or a how-to-guide on poaching an egg – if it’s valuable content it’s golden. After all, you’re reading this article because it’s valuable (don’t lie to me! ), engaging (or so I hope) and you found us on Google (#jackpot!). Content is more valuable than ever. Especially in the fintech marketing space! Millennials, for example, are often confused or uneducated with the financial situations surrounding themselves and with many financial companies ignoring the group – they can be left helpless and wanting more. A recent study found that 45 percent of Millennials want financial products and services that help them handle their financial situation, but 37 percent said they could not find resources online to educate them on vital financial topics. That’s not only a shocking statistic, but a great area to step in and be the hero of the day with your fintech content marketing efforts. Creating valuable content for Millennials and making it accessible in a way that they can find the information is the key to positioning your fintech company for success. Valuable content builds trust and trust is vital for selling anything, especially a financial product! If you build your reputation through valuable content, you will absolutely bring in more business and more success to your company. If you’re looking to make a bit of a splash with your fintech marketing, branding is the place to begin. The first thing (and last thing) that people will interact with is your branding, so you’ve got to make sure it’s killer. You can have the best content available, a fantastic social strategy and a great mobile based platform, but if your branding looks like it was created right about when the dinosaurs were roaming the Earth – something isn’t going to sit right. Branding is of course specific to your company’s culture and the demographics you are targeting. If you are targeting young people, don’t be afraid to go bold with branding. Whether it’s a strong, powerful and imposing feeling you want to portray, or you’re courageous enough to use a huge splash of color – it’s imperative to keep things fresh and memorable to avoid the slip into ‘nothingness’. Bottomline: decide on a branding strategy early on and make sure that everything is kept consistent throughout the marketing campaigns. Your fintech company’s identity needs to be seen in everything that comes out of the office. Whether it’s a key message, color palette or similar image style – keep it fresh and keep it consistent. Engagement with your target audience for your marketing campaigns can be one of the most important factors in your long term strategy. Whether it’s in the comments section of an Instagram or Facebook post, a reply to an email or tweet or a conversation on LinkedIn – engagement should be the number one priority for promoting the brand within social. Too many companies ignore or turn a blind eye to their consumer engagement and it’s one of the biggest red flags we see. Keeping someone available to man the social fort, keep chatting and feeding back to the comments section, tagged pictures or individual tweets is undeniably powerful in sharing the message and personality of the company and the staff that work there. You should create a personal experience for your customers and prospective customers to see. That’s a great way to boost brand recognition and promote the company without the hassle of fancy graphics or well thought punchlines. Just that simple and raw human to human contact is appreciated by the consumer and respected by other people considering engaging with your brand. Bottomline: stick to a clearly defined engagement strategy, keep active on social media and through your interactions with your customers (phone, email, chat). And before you know, more people will want to engage with your brand. Something that we tell our customers from time to time: if you over deliver to your customers, promote that story again and again. Just think of Southwest. The company has a long history of getting free PR through acts of kindness. From that story when a mom thanks Southwest flight attendants for calming her baby, to when the company helped a mom get back to her son who had an accident and went into coma, the world loves to hear of how Southwest goes out of its way to help their customers. There’s nothing more powerful than amazing customer service and the overdelivering of products and services is one of the best of the techniques. Do good and you’ll do well. But over delivering doesn’t necessarily require you to replicate Southwest stories. Those are great, but they’re caused by life altering events (which no one controls). The reality is that you can always over deliver in small but meaningful ways. Just sending a thank you note to any new customer joining your platform will go a long way towards establishing trust. Or giving your customers a small gift on their birthday (eg: Starbucks gives a free coffee/ food item to every loyal member). These are small but powerful ways to over deliver and build a relationship with your consumers. More importantly even, small acts of kindness create awareness and your act of company culture and customer centric approach becomes a talking point (aka free advertisement). People do talk and although there’s a heavy focus on negativity when it comes to company chat – a huge breath of fresh air comes from those who go above and beyond the call of duty. These conversations are different to the norm, so people pay attention when things are recommended by friends or colleagues. It’s the most basic form of organic marketing and it’s only amplified with online reviews, rants and posts. Bottomline: over deliver and make your service a talking point where you can, especially if you are a start trying to build your reputation. This is a great way to make a good first impression in the market. You’ve never had more choice when it comes to ad campaigns for fintech marketing than right now. The problem that we see with many financial companies is that they are not marketing in the year that we live in. Fintech marketing should be about making an impact where the majority of the attention is for that target audience. But so many companies still use television advertisements and radio commercials when they should be using Google, YouTube and Facebook Ads. Setting up Google and social ad campaigns with sensible budgets, demographics, interests, keywords, images, call to actions is critical to succeeding in 2019. Everything can be optimised with a couple of clicks of a button. Compare that to a billboard or television advert that has ‘one shot’ and it’s easy to see which has more potential. Billboards, television and radio are all dying markets with limited attention. Instead, opting for very specific niche targeting from the platform chosen to make the most out of the marketing tools available is incredibly wise. It can be simple to build a great and impactful advertising based fintech marketing strategy — all that’s needed is the knowhow of the optimization. Influencers seem to be the best kept secret that everybody talks about when it comes to fintech marketing techniques. Yet very few financial companies are tapping into the potential of using social influencers to market and promote their product. Influencers are unique in that they already have the attention and the fanbase that companies so desperately need for exposure to the product they are promoting. With countless social stars available on YouTube, Twitter, Instagram and Facebook with millions of viewers available – it’s a great strategy that instantly generates awareness of the product. Our advice is simple: carefully select influencers that suit the fintech marketing approach that you’re trying to adopt with those who accurately reflect the image you want to portray. Most influencers operate with lifestyle in mind so look for those with a lifestyle that coincides with what the brand is trying to promote. Another tip. Many companies choose to go after the big names in the influencer space. Examples: DanTDM, Evan FongPewDiePie and many others. But there’s another group of influencers you should not shy away from. They’re called micro-influencers, aka influencers with 100 to 500,000 followers. Whereas some marketers value the total numbers of followers an influencer has, you should also look at the quality of the influencers you’re working on. Many micro-influencers have fewer followers but those are incredibly more engaged. And in marketing, you want quality over quantity. Because of that, some people have dubbed micro-influencers the marketing force of the future. Bottomline: influencers are great for business. But you need to think carefully about how to tap the right resources at the right time. 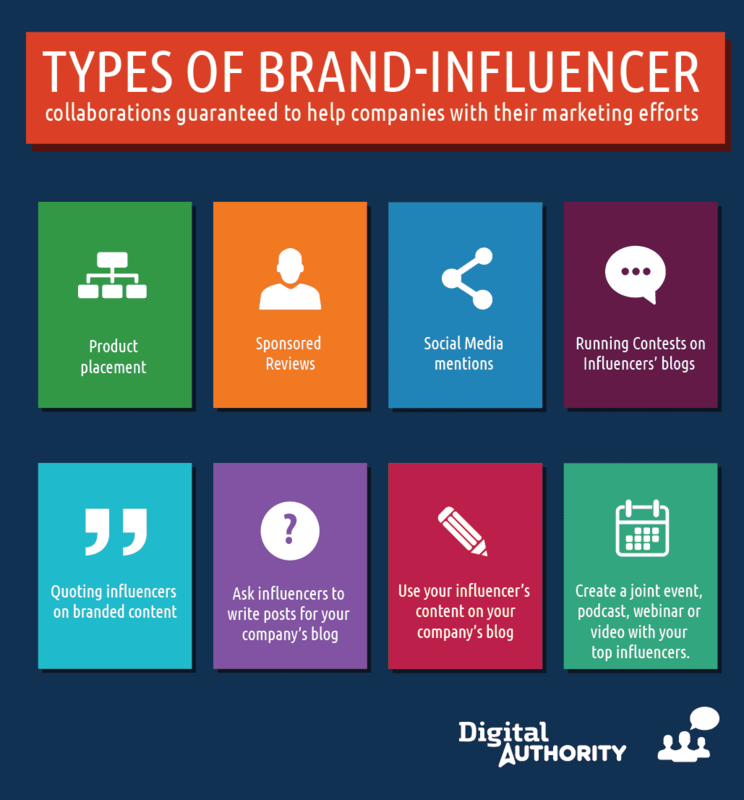 Make sure to pocket a variety of niches across a variety of platforms to make the most out of all influencers available on the market. Are you interested in learning more about how to choose, attract and manage a successful influencer marketing program? Check out our Ultimate Guide to Influencer Marketing. Last but not least, let’s talk about the power of video. Video is forever unrivaled and when it comes to fintech marketing, it’s absolutely no different. The motion picture is one of the one true forms of content where the focus of the consumer is fully directed and concentrated on the media in front of them. And that’s a very powerful marketing tool. Our advice? Create video content with your product – whether that’s to showcase how it works, what it’s good for creating short YouTube-based advertisements, all these ideas are fantastic ways to draw attention to your product, culture and value. If you want, you can also build on the previous strategy and work with video-based influencers that operate in your field. In 2018 your company should be a media company first and a fintech company second. That’s by far the greatest way to generate awareness to your product. Marketing is hard. We can all agree about that. In many ways, marketing in the fintech space is even harder. That said, while financial technologies are boring, it doesn’t mean your marketing style should be boring as well. As we discussed in this article, there’s lot of cool things you can do that will absolutely make your fintech brand and marketing efforts successful. 1. Mobile-first initiatives: optimize your website for mobile usage, make it fun and interactive and a joy for users to browse through. 2. Social media strategy: define your target audience and meet them where they hang out the most. Be that on Facebook, Instagram, TikTok or whatever platform they love and use. 3. Create valuable content: engaging content is and will always be the gateway to people’s hearts. There’s nothing more valuable than insightful content which educates and delights users. 4. Bold branding: you may be working in a boring industry. But don’t take that to heart. Today’s buyers are all about engaging with a brand, feeling that their favorite companies “get them” and share their values. So be bold and fearless with your branding. 5. Engage with your users: be that on social media, on your site, through emails, chats or any other channel – don’t forget your customers need to be acknowledged and catered to. There’s nothing more amazing than having your favorite brand listen to you and giving you an awesome experience. 6. Overdeliver: in small and big ways alike, make sure your customers, current or future, know that your company has a customer-first philosophy. And when you do something that’s memorable – share it with the world. 7. Choose the right channels for your ads: Traditional media is by no means dead. But it’s opaque and difficult to prove the ROI for your marketing efforts. So choose the channels that are most cost effective and easier to track from a performance point of view. 8. Team up with influencers: choose the right influencers to get in front of the right customers at the right time. This is a powerful strategy and you should absolutely test it out with your target audience. 9. Use video to educate and convert: Youtube is the third most popular search engine (after Google and Amazon). TikTok, a Chinese-based short video social media app now has 500 million users all over the world. Video is huge. As they say – a picture is worth a thousand words and a video a thousand videos. So use video in your marketing campaigns. It’s the right thing to do! In a nutshell, if you leverage these amazing strategies, you will absolutely see the results and ROI of your fintech marketing campaigns. 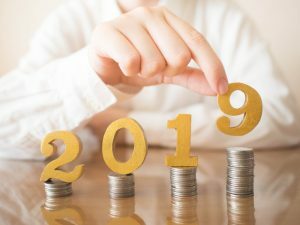 Which of these strategies will you leverage in 2019? You have a great fintech product. We’ll get it in front of your target audience through brilliant marketing. No joke!